The original Star Wars release is one of my all time favorite movies. I actually saw it twice in one night in New York City. At the time Star Wars was a little known movie in limited release. I had no idea that it would become a collection of movies that I’d be sharing with my kids some 30 years later. My kids have seen episodes 1-3, but have yet to see 4-6. These new Star Wars Cereal Boxes from General Mills remind me how much fun it’s going to me to relive my memories with them. They already know that I ended up seeing the original release 7 times (yes 7) in the theater and countless times on cable. 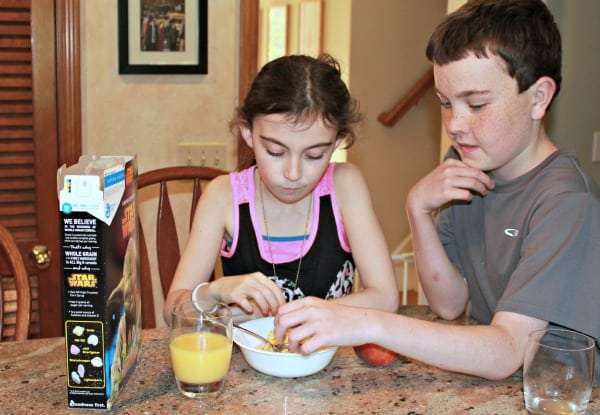 I could not pass up the chance to try the Star Wars Cereal with my family and share it with my readers. My kids were “over the moon” excited too! Since I don’t typically allow high sugar cereal in the house, I was impressed to hear that Star Wars Cereal contains whole grains, has no high fructose corn syrup, and only has 9g of sugar per serving. That made me feel even better about giving my kids this special treat. Every few months, Star Wars fans will be able to shop for two new characters. The current packages feature Yoda and Darth Vader. 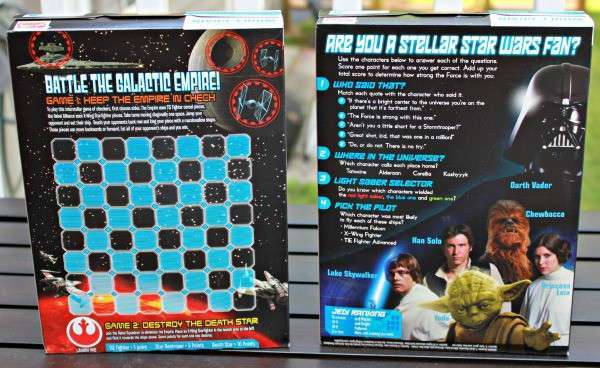 The Yoda Box has a fun trivia game and the Darth Vader box has a board game. 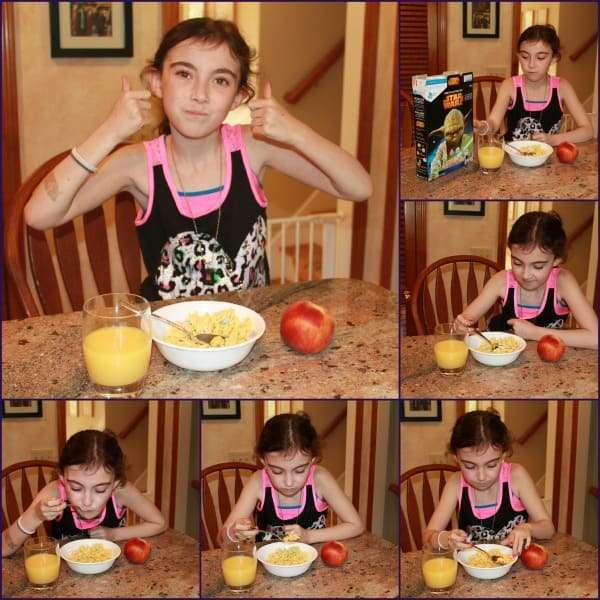 It’s a great way to stay entertained and keep the conversation going through breakfast. Between June 2015 and June 2016, you will be able to purchase 6 different package designs. Can’t wait to get your hands on a box? Here is a coupon for a dollar off your next purchase! I don’t think I’ve seen this yet in the store. My kids are huge Star Wars fans. Oh man, I raced over to get that coupon. 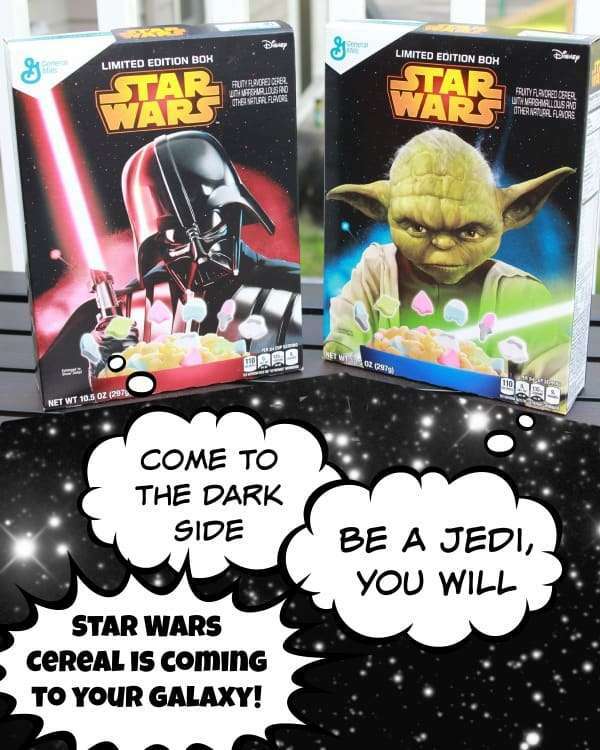 What fun to munch on this cereal and read the box with all the Star Wars fun. Yoda I love so cereal of his eat I will. I hate to say it but I saw the original Star Wars in a drive in! Really dating myself. My husband is a huge Star Wars fan too, and he would love this. I am surprised that it only has 9 grams of sugar per serving. That’s less then my cereal! The cereal looks pretty good to me. 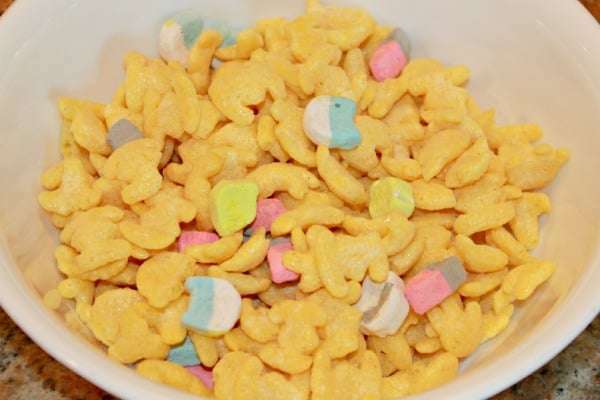 Of course, I love cereal with marshmallows in it. Is it gluten free?